Womble EasyDVD is a DVD authoring tool that makes DVD authoring as simple, quick, and intuitive as possible. With a six step work-flow, you will be able to create your own DVD with just a few mouse clicks. 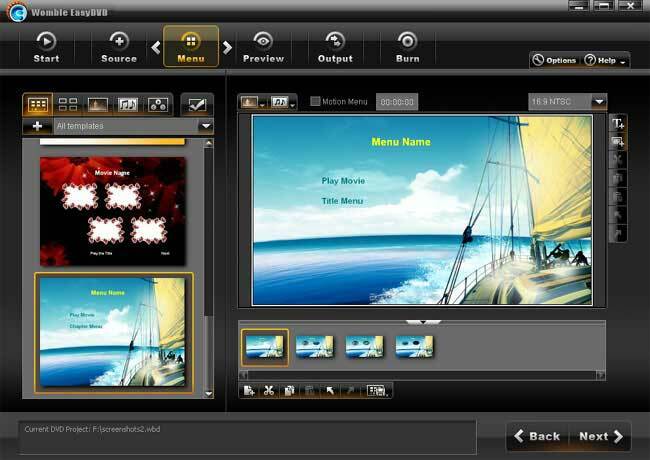 Womble EasyDVD combines Womble's smart rendering technology for MPEG-2 video and an extensive and flexible menu template support, it will appeal to users of all levels, from novice to seasoned professional. 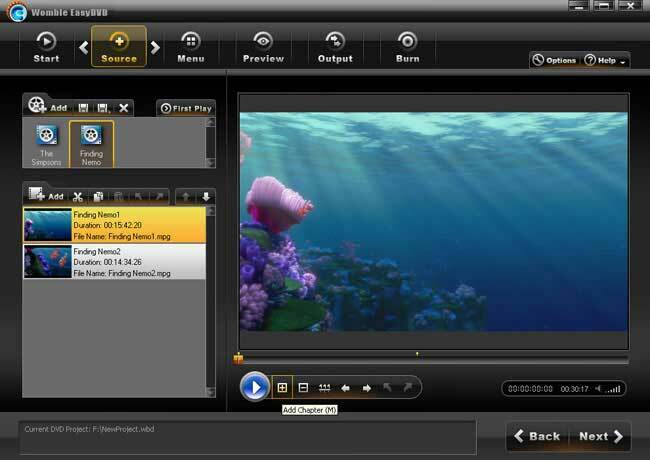 All in all, we intend to bring you perfect DVD authoring experience with much easier manipulation! 1. (BUG) loss of sound at the end of a large MP4 file. 2. (BUG) very slow seek response in audio player for MP4 files. 3. (BUG) timing error for linear PCM audio output. 4. (BUG) no sound for DTS audio even with external decoder.